"In the Border States" is a short Civil War drama directed by D. W. Griffith. This film illustrates the work of our star cinematographer Billy Bitzer. "In the Border States" deals with the human aspect of the war. Representatives from both conflicting sides are forced to choose between the loyalty to their banner and the higher moral obligation to humanity. 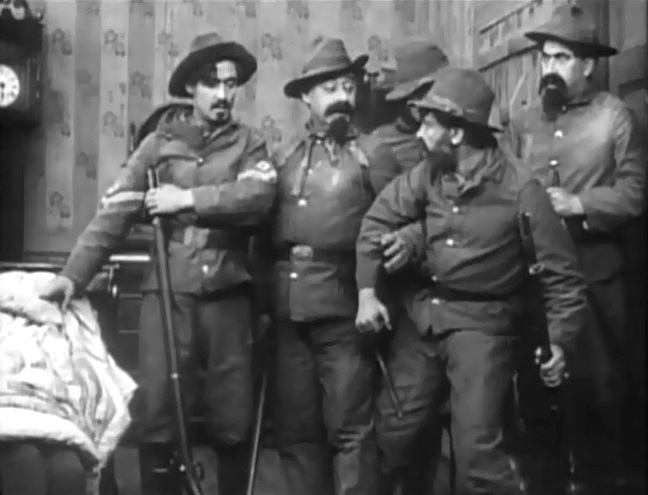 Charles West is about to join the army in a scene from the film "In the Border States" (1910), directed by D. W. Griffith, cinematographer Billy Bitzer. Gladys Egan hesitates to help an enemy soldier (Henry Walthall) in a scene from the film "In the Border States" (1910), directed by D. W. Griffith, cinematographer Billy Bitzer. Henry Walthall pleads Gladys Egan for help in a scene from the film "In the Border States" (1910), directed by D. W. Griffith, cinematographer Billy Bitzer. 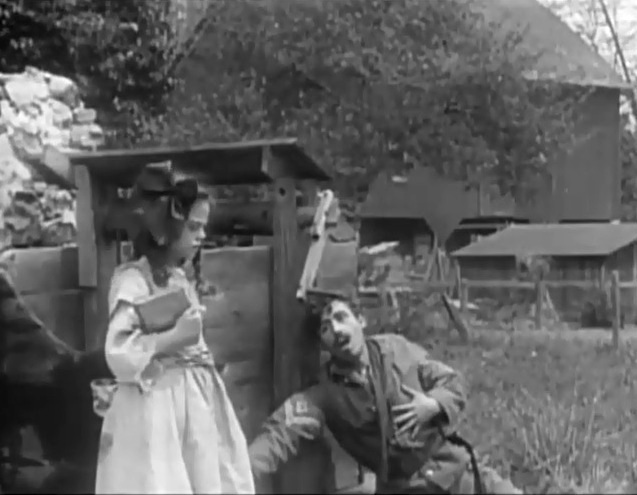 Gladys Egan saves Henry Walthall by sending away a friendly commander in a scene from the film "In the Border States" (1910), directed by D. W. Griffith, cinematographer Billy Bitzer. Gladys Egan won't have a thank you kiss from Henry Walthall in a scene from the film "In the Border States" (1910), directed by D. W. Griffith, cinematographer Billy Bitzer. Charles West returns home wounded in a scene from the film "In the Border States" (1910), directed by D. W. Griffith, cinematographer Billy Bitzer. 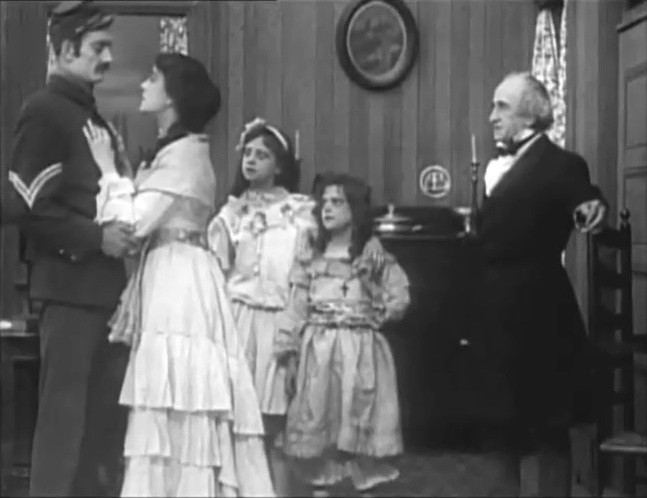 Gladys Egan and her elder sister hear enemy troops close in as Charles West sits defenseless in a scene from the film "In the Border States" (1910), directed by D. W. Griffith, cinematographer Billy Bitzer. 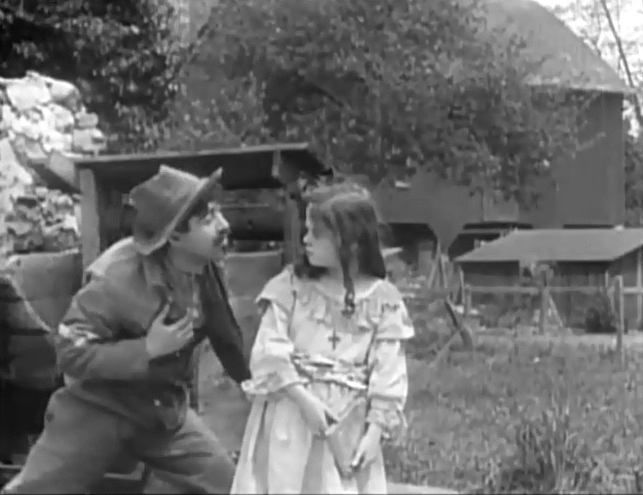 Henry Walthall recognizes Gladys Egan, the girl that saved him, in a scene from the film "In the Border States" (1910), directed by D. W. Griffith, cinematographer Billy Bitzer. Henry Walthall saves Gladys Egan's father in a scene from the film "In the Border States" (1910), directed by D. W. Griffith, cinematographer Billy Bitzer. Gladys Egan still won't have a kiss from Henry Walthall in a scene from the film "In the Border States" (1910), directed by D. W. Griffith, cinematographer Billy Bitzer. Gladys Egan and Henry Walthall agree on a friendly handshake and a salute in a scene from the film "In the Border States" (1910), directed by D. W. Griffith, cinematographer Billy Bitzer.